The USC Institute for Global Health provided me with funding to attend the 19th Annual Global Health Education Consortium (GHEC) in Cuernavaca, Mexico. The conference was held at the Instituto Nacional de Salud Publica from April 9th though 11th. The conference started with a lecture by Dr. David Bloom from Harvard School of Public Health. He discussed the importance of collaboration across several different fields such as public health, law, business, and medicine. He emphasized that this type of collaboration will result in more effective ways of implementing public health findings to create program interventions. After hearing lectures by several other speakers, I had the opportunity to present my poster at the conference. This was the most enjoyable part of this experience because I was able to speak with and get helpful feedback from professors, residents, and students. I was excited when one of the professors told me that he looked forward to reading about my study in a journal publication. 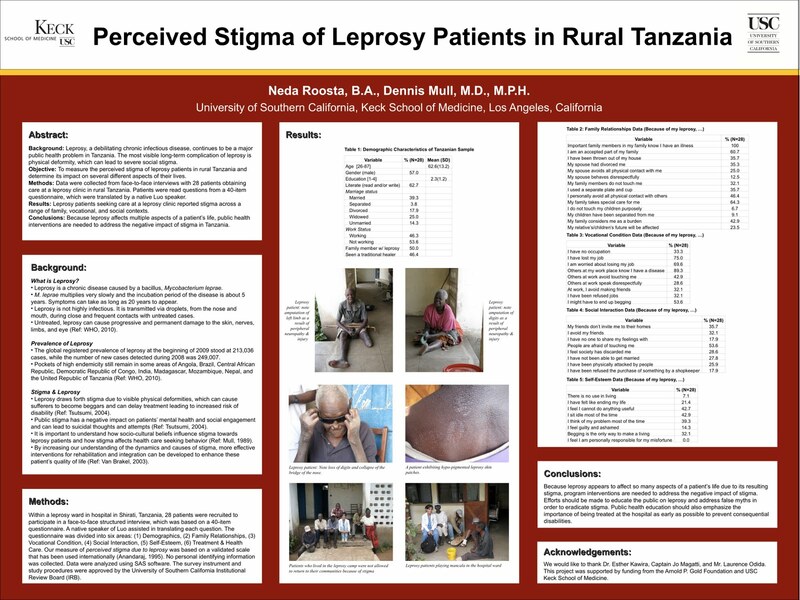 I had residents ask me about how leprosy was treated and how HIV/AIDS patients face a similar stigma. There were students from another U.S. medical school who will be working in a leprosy camp in Brazil this summer and I brainstormed with them on potential research projects. I also met medical students from Mexico and they gave me some more information about the stigma that leprosy patients face in Mexico because of the community’s fear of the disease. By attending this conference, I am certain that I will be able to improve my research study based on the constructive feedback I received. 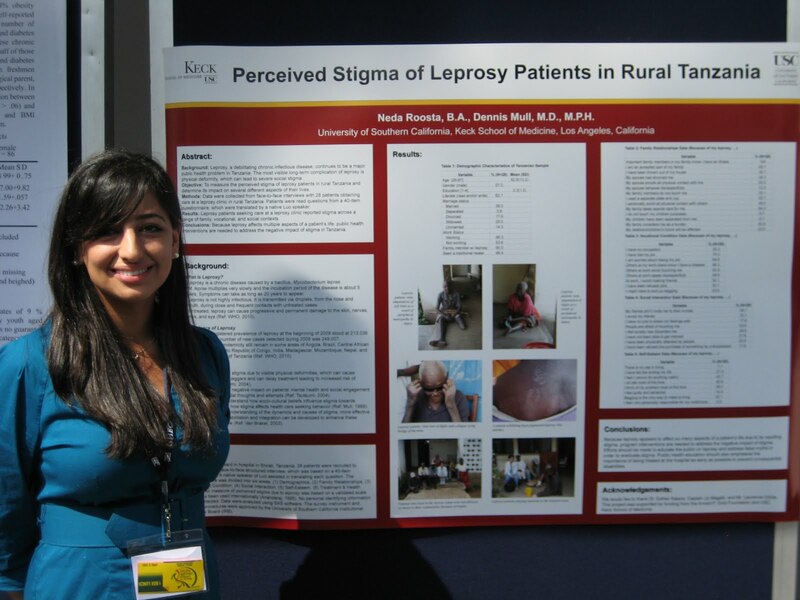 I also enjoyed being able to read the posters of other medical students and residents. One study that I found particularly interesting was “The Social Impact of Albino Killings on Albino School Children in Tanzania.” During the rest of the conference, I attended panels on ethics of global health, social determinants of health, clinical practice and global health, and current issues in HIV/AIDS.